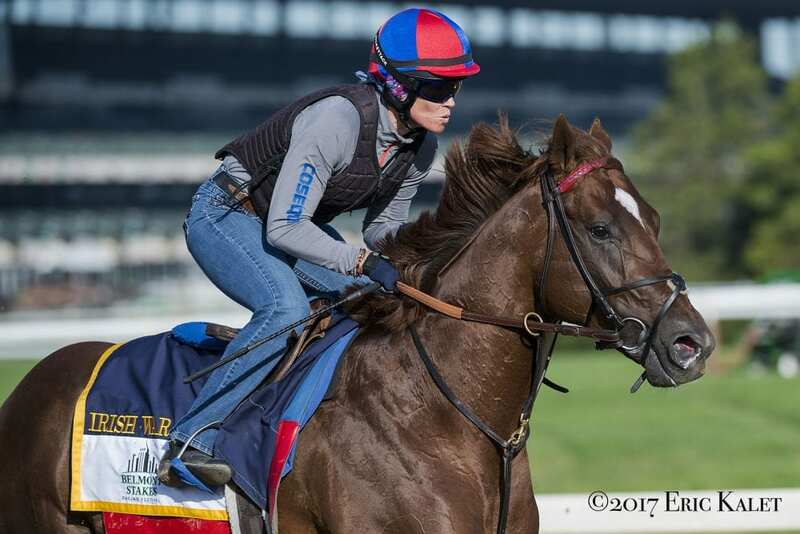 Isabelle de Tomaso's Irish War Cry, the epitome of a “house horse,” will break from the rail as the favorite in Sunday's 50th running of the $1 million betfair.com Haskell Invitational at Monmouth Park. The Haskell field from the rail out looks like this: Irish War Cry, Post 1, Rajiv Maragh; Don Alberto and WinStar Farm's Battle of Midway, Post 2, Flavien Prat; Woodford Racing's Timeline, Post 3, Javier Castellano; Klaravich Stables and William H. Lawrence's Practical Joke, Post 4, Joel Rosario; Whitham Thoroughbreds' McCracken, Post 5, Brian Hernandez Jr.; Calumet Farm's Hence, Post 6, Paco Lopez; and, Brad Grady's Girvin, Post 7, Robby Albarado. “I've had my eye on the Haskell for him a long time,” Brown said. “He's had a race over the track now, and I think a mile and an eighth will be his best trip. Sharp said that the colt's quarter-crack problems seem all behind him. “He's a healthy horse,” the trainer said. This entry was posted in Breeders' Cup, NL List and tagged battle of midway, betfair.com haskell invitational, hence, Horse Racing, irish war cry, monmouth park, thoroughbred, timeline by Press Release. Bookmark the permalink.